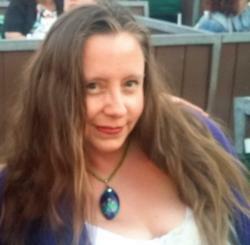 Aaah, just as another year commences bringing us one year closer to the Age of Aquarius, so dawns the Daytime/Creative Emmy® Season. 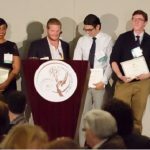 With it, comes the additional prospect of success-through-suspense, by way of a chance for TV-savvy, high school students the nation over, to enter a scholarship bid like no other as the Foundation of The National Academy of Television Arts and Sciences (NATAS) recently announced the entry date for its 2019 Scholarship programs! 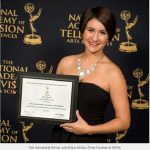 With an affirmed deadline of Thursday, March 11, 2019, at 5 p.m. EST, high school seniors interested in pursuing a career in any aspect of television can enter to win the following notable scholarships. The Douglas W. Mummert Scholarship ($10,000) – Aimed towards any student pursuing a career in the television industry who has made a beneficial imprint via work through community service. The Randy Falco Scholarship ($10,000) – Celebrating Hispanic or Latino Students aimed at focusing on a career in any aspect of the Television Industry. The Mike Wallace Memorial Scholarship ($10,000) – Granted to students concentrating on a career in television journalism. 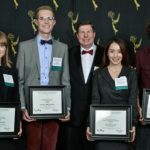 The NATAS Trustees’ Scholarship ($10,000) – Bestowed to the two most commendable students pursuing a career in any aspect of the television industry. The Mike Wallace Memorial Scholarship, now in its 7th year, is made possible by an endowment from CBS News in commemoration of the venerable correspondent himself (circa 1918-2012) and is presented annually at the News and Documentary Emmy® Awards. The Jim McKay Scholarship currently celebrates its tenth year and is bestowed in honor of sportscaster Jim McKay (circa 1921-2008). Founded in 2009 by HBO, CBS, NBC, ABC, and FOX, it is granted at the Sports Emmy® Awards. The Randy Falco and Trustees Scholarships currently celebrate their fourth year. 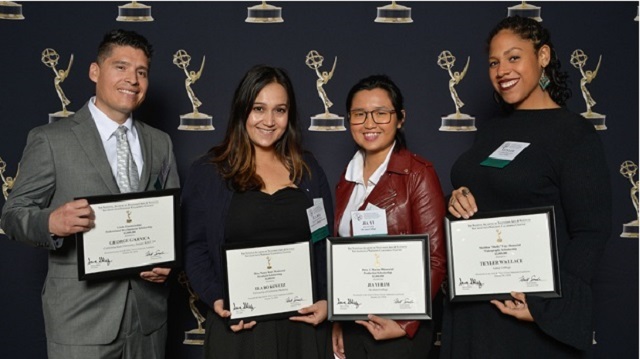 Winners are determined by Trustees and officials currently employed by The Foundation of The National Academy of Television Arts & Sciences in conjunction with the National Scholarship Committee. Creative works, along with Univision Communications Inc., participate in kind via thorough review concerning the Randy Falco Scholarship. Final selections pertaining to all applicants will be made in late April. This entry was posted in Miscellanious and tagged Douglas W. Mummert, Emmy Awards, Foundation of The National Academy of Television Arts and Sciences, Jim McKay, Mike Wallace, NATAS, Randy Falco, Scholarships. Bookmark the permalink.